We’d love your help. Let us know what’s wrong with this preview of Democratizing Finance by Clifford N. Rosenthal. Decades before Occupy Wall Street challenged the American financial system, activists began organizing alternatives to provide capital to “unbankable” communities and the poor. With roots in the civil rights, anti-poverty, and other progressive movements, they brought little training in finance. 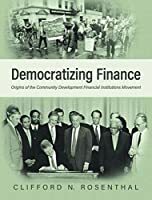 They formed nonprofit loan funds, credit unions, and even a new bank—organizat Decades before Occupy Wall Street challenged the American financial system, activists began organizing alternatives to provide capital to “unbankable” communities and the poor. 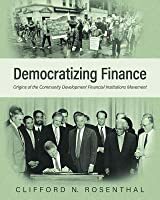 With roots in the civil rights, anti-poverty, and other progressive movements, they brought little training in finance. 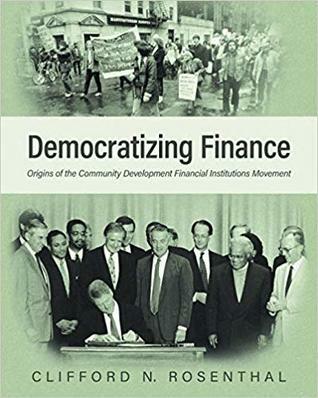 They formed nonprofit loan funds, credit unions, and even a new bank—organizations that by 1992 became known as “community development financial institutions,” or CDFIs. To ask other readers questions about Democratizing Finance, please sign up.